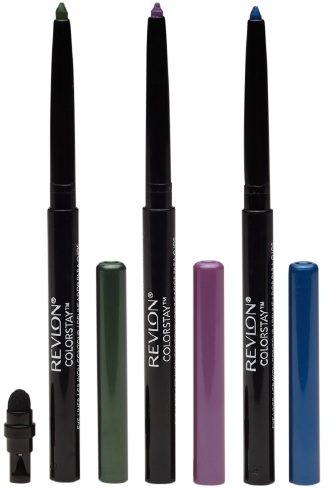 Eye Love Wednesday - liners that pop from Revlon, Avon and Physicians Formula! Revlon Colorstay Eyeliner - $10.49 - in 3 new intense, jeweled tone shades: Jade, Amethyst and Sapphire with a waterproof formula that glides on effortlessly and lasts up to 16 hours. Better yet, they now come with a built-in smudger to blend colour and an improved pull-out sharpener to keep lines sharp and precise. 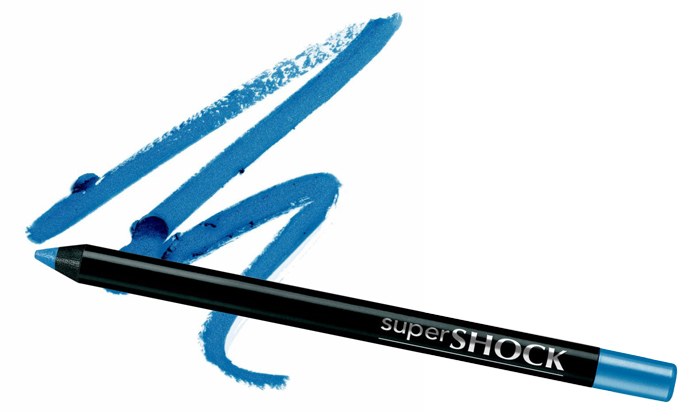 Avon Supershock Gel Eye Liner Pencil - $10 - in 5 intense, colourful shades: Plumful, Aqua Pop, Cobalt, Intense Brown and Black - formulated with 20% liquid-gel to smoothly create a flawless line with ease. 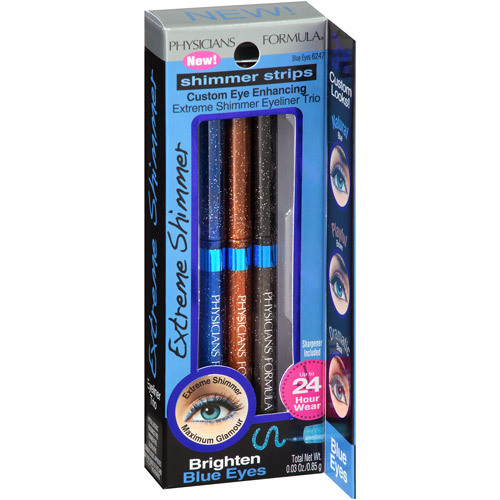 Physicians Formula Shimmer Strips Custom Eye Enhancing Extreme Shimmer Eyeliner Trio - $14.79 - in 2 eye enhancing trios for Brown Eyes and Blue Eyes - designed to deliver an ultra-shimmery look that dress up eyes as they define and illuminate. Each automatic pencil trio features a universal black along with two eye enhancing shades to brighten eyes and infuse extreme glamour instantly with versatile 24-hour wear in a paraben and gluten free, long-wear, water-resistant and smudge-resistant formula that is safe for sensitive eyes and contact lens wearers.